Boise, ID – June 20, 2016 — The University of St. Augustine for Health Sciences (USAHS), a leading graduate institution that emphasizes rehabilitative and health science education through innovative classroom and distance education, will offer a continuing professional education seminar, Aging and Cognitive Impairment, The Role of Therapy, at the Holiday Inn, located at 475 W. Parkcenter Boulevard in Boise, Idaho, on Saturday, June 25 from 8:00 a.m. to 5:30 p.m. For more information and to register for this seminar visit cpe.usa.edu or call 800.241.1027. This one-day, face-to-face seminar provides continuing education units (CEUs) for physical therapists, occupational therapists, speech language pathologists, social workers, nurses and other healthcare professionals. This seminar covers normal and abnormal memory or cognitive deficits, the factors that both contribute to and slow memory and cognitive decline, and address how to manage these factors. Content will cover the spectrum of age-related cognitive changes from Mild Cognitive Impairment (MCI) to end stage Alzheimer’s and the behavioral and clinical characteristics of each. The most up-to-date, evidence-based information on brain plasticity, cognitive reserve, communication strategies and cognitive assessment-intervention will be presented. University of St. Augustine for Health Sciences offers more than 100 in person seminars, specialty certifications and pre-recorded webinars for healthcare providers. Attendees can earn CEUs they may be able to apply toward licensure requirements. For a full list of continuing education seminars, visit cpe.usa.edu. Perkins earned his BS in occupational therapy 1984 from the Medical College of Georgia. He obtained an MS in Health Care Policy and Administration from Mercer University in 1994 and has worked in a variety of clinical settings (acute/inpatient and outpatient, SNF). 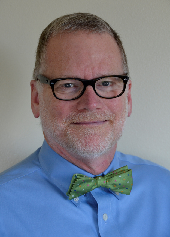 He currently serves as the Rehab Education Manager at Providence St. Peter Hospital in Olympia WA. Max has extensive experience with interdisciplinary clinical management focusing on a geriatric population. He co-authored the article “Interdisciplinary Team Approach in the Rehabilitation of Hip/Knee Arthroplasties,” which was published in the American Journal of Occupational Therapy. Max is a guest lecturer in occupational therapy at Pacific University in Forrest Grove Oregon and in physical therapy at the University of Puget Sound in Tacoma Washington.